Advanced Dynamics Limited is marketing a new type of interleaf feed solution for packaging companies that insert information inserts and giveaways in cartons and cartons. In recent years, customers' expectations for high quality requirements have brought enormous pressure to carton makers - how can we provide accurate positioning of inserts, and at the same time complete precise folding and ensure smooth edge folding? The new LHP friction feeders are specially equipped with AC servo motors, which can provide positioning accuracy of Â±1mm, making them an ideal machining system for precise feeding requirements. The company believes that the paper-feeding solution for LHP paper feeders is very attractive for packaging carton manufacturers who need to interpolate (such as bills, holograms, promotional brochures, and DVDs). The device is particularly suitable for inserts in food cartons and non-food cartons, as well as the supply of carton outer inserts on conveyor belts. A typical application is the delivery and positioning of promotional materials in cereal boxes and the affixing of brochures to beverage boxes. The LHP paper feeding device manufactured by Kra-Packmak Co., Ltd. can separate, transfer, feed, position, and paste the inserts at a speed of up to 600 sheets per minute depending on the conditions of the different inserts. The paper-feeding device can feed single-page inserts or multi-fold inserts, and the maximum insert width is respectively 250mm, 300mm and 350mm according to different models of LHP feeders. The greatest advantage of this interleaf feed system is the ability to achieve full synchronization with the packaging line. In addition, the LHP paper feeder is easy to use, using PLC and monochrome display touch screen for control. When Mr. Mike Essler, Chairman of Advanced Dynamics, spoke about insert-sheet precision paper-feeding solutions, he considered that â€œthe application of interleaf, especially promotional inserts in food and beverage packaging, has grown rapidly in recent years. Precise interleaving will increase the product's additional The value, LHP paper feeder is the best machine that can realize the precise positioning of inserts." The device first separates the insert product, such as a booklet or CD, and inserts it into the carton to complete the action. It uses a spindle rotation encoder to achieve the speed of the paper box passing through the paper feeder and the speed of the insertion. After the speed-consistent information is transmitted to the control system, the paper feeder outputs the interleaved product, thereby achieving accurate interleaving positioning. The device is capable of infinitely variable speed control. This page are about Jute Gift Bag, Hessian bags, Gift Canvas Bags, Jute shopping bags. After 10 years of development, We export our jute bags to United States, Germany, Italy, France, Japan, Singapore, Taiwan, etc., and we provide high quality products, latest design, good services to all of our clients, look forward to working with your long-term cooperation! We are always fully implementing the ISO 9001 : 2008 international quality management system standard, and carry out the quality control from purchasing, production to sales, holding our quality policy"survive on high quality and seek development with prestige". Our competitive prices, high-quality Hessian Bags, on-time delivery, good services and effective communication gain us a good reputation. We are expecting to set up a long term, stable and mutual benefit business relationship with customers from all over the world. We also do OEM service. 1). Raw Jute & Jute bags are interpreted as Burlap, Industrial Hemp in some parts of the world. 2). Jute Shopping Bags has high tensile strength, and low extensible. 4). Jute is the second most important vegetable fiber after cotton. 5). Jute is a natural fiber with golden & silky shine, and hence nicknamed as The Golden Fiber. 6). The best source of Jute in the world is the Bengal Delta Plain. 7). Jute stem has very high volume of cellulose that can procured within 4-6 months, and hence it also can save the forest and meet cellulose and wood requirement of the world. 8). Jute is 100% bio-degradable & recyclable and thus environment friendly (Jute Bags is green). 9). Jute is one of the most versatile natural fibers that has been used in raw materials for packaging, textiles, non-textile, and agricultural sectors. We firmly believe we will become one of the most successful organizations in the near futures which can produce professional Jute Bags, Jute Shopping Bags, Hessian Bags. What's more, mutual relation ship established with you will be sincerely appreciated. welcome any comments from its friends and loyal clients. 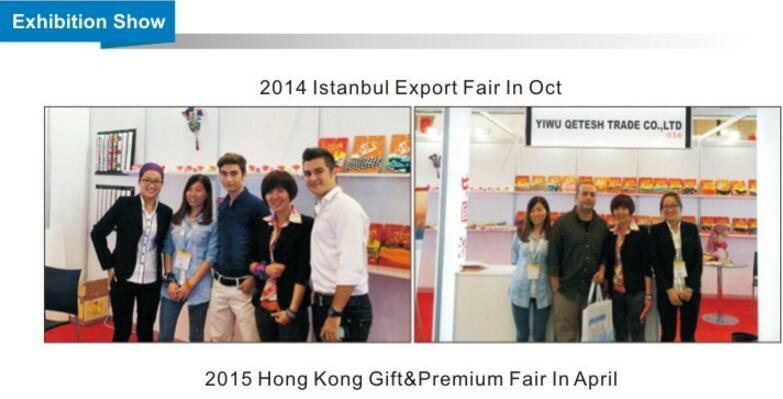 We would be delighted to meet and discuss with any potential business partners. Please do not hesitate to contact us if you have any questions and we look forward to a fruitful partnership and cooperation.